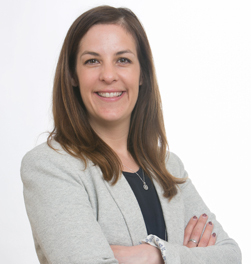 Lisa Raftery has been appointed to the new role of Chief Operating Officer at the Dublin-based tendering solutions provider, TenderScout. TenderScout is a SaaS technology platform helping firms identify and win business by identifying suitable public procurement opportunity and improving the tendering process. With over 15 years comprehensive marketing and management experience in the business to business sector, most recently with Deloitte, Lisa joined TenderScout in February 2018 as Head of Marketing. From Ballina in County Mayo, she graduated from DCU with a BBS honours degree. Lisa also has post-graduate qualifications in psychology, employment law and digital marketing. She began her career working with Ibec in Technology Ireland marketing and memberships, and spent ten years in a variety of marketing and communications roles for the corporate banking arm of Ulster Bank.